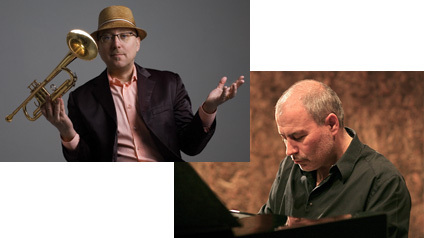 French-American Jazz Exchange grant awarded to Brian and pianist Hervé Sellin! 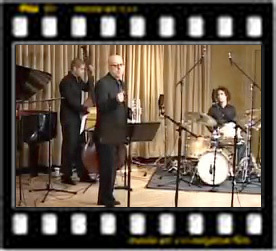 I was elated to receive the news this past month that I’ve been awarded a French-American Jazz Exchange grant for 2010. This award, created by the French-American Cultural Exchange, Chamber Music America, and the French Embassy, funds collaborative projects that unite French and US jazz artists. The program has received support from the Doris Duke Charitable Foundation, the Cultural Services Of the French Embassy, Cultures France and FMEO – Le Bureau Export de la Musique Française. My French partner in the grant will be a most redoubtable pianist and composer and good friend, Hervé Sellin. Hervé and I have worked together in the recent past with Phil Woods, and I played his music in a concert for Jazz At Lincoln Center a few years back; excellent stuff! Hervé is a brilliant player and writer, and I am really looking forward to collaborating with him. 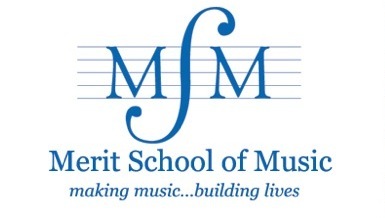 Over the last few years, I’ve been privileged to be able to work with the talented students at Chicago’s Merit School of Music, a weekend program for primary through high school age music students giving opportunities not available in the school system. This program has nurtured many accomplished musicians in the Western classical, jazz, and Latin music genres, including clarinetist Anthony McGill, who played for President Obama’s inauguration ceremony; Merit alumni that I’ve had contact with and bear watching include smoking Chicago trumpeter Victor Garcia (co-leader of the Chicago Afro-Latin Jazz Ensemble), and young baritone sax man Jonah Parzen-Johnson, also a student of mine at NYU. Merit’s dynamic jazz & Latin jazz ensemble conductor Michael McLaughlin and I have collaborated in a number of workshops and concerts both in Chicago and New York City. Now I’ve been given the honor of being named to Merit’s National Advisory Board, alongside such great artists as Yo-Yo Ma, Ramsey Lewis, and Emmanuel Ax. All I can say is, wow! I’m looking forward to a long and rewarding association with Merit and their students. Unsung Heroes Project Goes to Jakarta International Java Jazz Festival! My “Unsung Heroes” Project (Alex Hoffman, tenor sax; Rob Schneiderman, piano; David Wong, bass; Pete Van Nostrand, drums) along with special guest Donald Harrison on alto sax will be hitting the road at the beginning of March to perform at the Java Jazz Festival in Jakarta, Indonesia. This will be this band’s first appearence on the international bandstand in advance of the release of their recording project in May on my new label, Hollistic MusicWorks. You can find out more about the Unsung Heroes Project on HollisticMusicWorks.com, or view a video trailer for the project. My NYU student ensemble, fresh from a great gig at NYC’s Bowery Poet’s Club, will also be hitting that international bandstand this spring. We will we performing in the Baltic country of Latvia, in association with NYU, the New York Foundation for the Arts, and the U.S Embassy in Latvia. 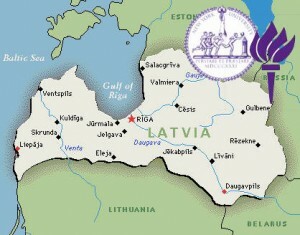 Details are still being finalized, but we should be off to Europe at the end of March or early April. Either just before or just after our trip, the ensemble will also be appearing at the NY Blue Note for the Jazz Brunch on Sunday, April 4th. The students in my band are playing great and we’re very excited about these hits! This entry is filed under News. You can follow any responses to this entry through the RSS 2.0 feed. You can leave a response, or trackback from your own site.